Choosing the best deodorants is starting to be a bit of a mine-field. The market is over-crowded with sprays, creams, paste, roll-ons, sticks and most of them contain chemicals that may, or may not be, harmful! But if you live or work in a warm location, you need a deodorant or anti-perspirant to deal with the smell caused by the bacterial break-down of underarm sweat. Not all of us have great working conditions and opportunities to freshen up during a long work-shift. 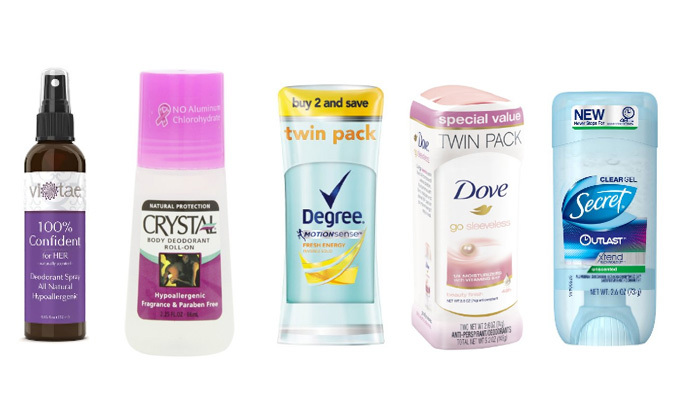 So you have to decide if you need to prevent all underarm perspiration to avoid wetness or whether you believe the best deodorants for women are all-natural. All-natural deodorants avoid the need to apply anti-perspirants with aluminium salts that block the sweat glands. Some research suggests there may or may not be a link to breast cancer in patients who’ve used anti-perspirants with aluminium for a long time. This has increased the market for all-natural products, which are the best deodorants for women who prefer to avoid all chemicals. And for once, we had no trouble at all rounding up a group of female and male ‘best deodorants’ testers, because everyone wants to buy and use the best deodorants! Amazingly, this cream deodorant has been a best-selling deodorant for women since the 1930’s. And despite trying modern deodorants, many women have been using this same product for decades because they haven’t found anything as good. It doesn’t stain clothing, even black garments and has a high-class perfume incorporated. 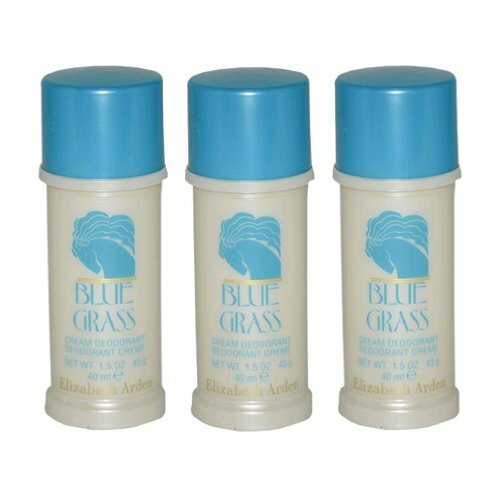 Blue Grass fragrance is a cool floral bouquet blended with spicy, woody undertones for a light but lasting scent. Users say you stay dry and the scent is delicate, not overpowering. With its designer tag and superior scent, this is also a popular gift idea. Mitchum produces heavy duty anti-perspirants and deodorants for women aimed at reducing perspiration and keeping underarms dry and odor-free. This alcohol-free product is less likely to cause skin-irritation on sensitive skin and is ‘Dermatologist Approved’. One user told us that she has often had allergic reactions to the ingredients in other anti-perspirants, but not with this product. 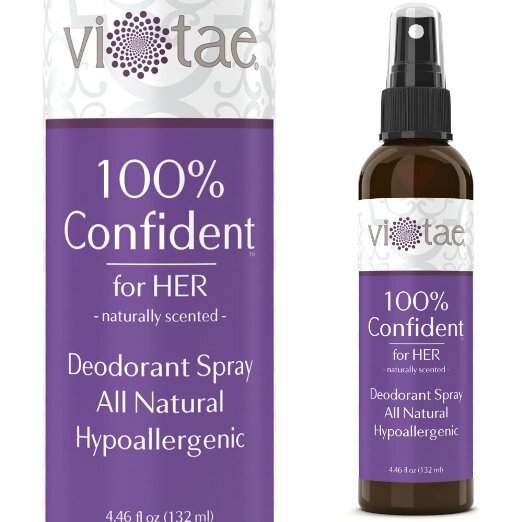 Testers say that it is a little sticky when you first apply it, but they say that’s okay because this is one of the best women’s deodorants they’ve tried. It keeps underarms dry and gives women confidence to lift up their arms and expose this tricky area! Marketed as a modern antiperspirant/deodorant that provides strong, all-day wetness protection and freshness, the technological approach is blended with traditional fruit and flower fragrance in 7 options. They claim that as you move around, this stimulates the formula to release bursts of fragrance and give the best deodorant for women results all day. Users consider it to be a great deodorant, that’s not too heavily scented and you get a long period of protection from each application. This product is aimed at young women with busy lives, who go to the gym and need one of the all-round, best deodorants. I admire Dove for being the only manufacturer that’s managed to add ‘extra-value’ to a fairly standard product! Having smoothly moisturized under-arm skin is a lovely feeling and has indeed, encouraged more women to wear sleeveless tops and dresses! It’s a solid product that looks clear on your skin and isn’t sticky. A tester who normally uses Degree anti-perspirant/deodorant tried this and loved it for the subtle, girly fragrance. You can put on dark clothing just after application and not have any marks at all. It does a good job and improves self-confidence, so Dove is certainly one of the best deodorants for women! A great deodorants for both men and women. This is one of the best deodorants for women who prefer all-natural deodorants that specifically do not contain Aluminium Chlorohydrate. It’s also fragrance-free, which is great for when you want to wear perfume and for those who have sensitive skin or other allergies. Switching to an all-natural deodorant and cutting-out the usual anti-perspirants is a personal decision, depending on your individual requirements. Testers loved this product and said they didn’t see any difference in how much they perspired between Crystal deodorant and their normal anti-perspirant. You must apply this product on soap-and-water clean skin to get the best deodorant effectiveness. Here’s another all-natural deodorant that’s aimed at Vegans and anyone who feels strongly about avoiding unnecessary chemicals in their daily life. I’m a little confused that the label states, ‘Fragrance-Free’ but there’s a lavender-colored label that says, ‘Lavender’. It’s aluminium-free, petroleum/petrolatum-free, and a long list of ingredients commonly used in the best deodorants for women are absent, too. Testers said it may leave marks on clothing if you don’t give it time to dry before dressing. An eczema-sufferer bravely tried this and was delighted that it caused no irritation. The stick can be kept in the fridge in hot summer temperatures, and testers say it works well, one of the best deodorants for sweating. Here’s another of the best deodorants made with natural ingredients like seaweed extract and ‘organic botanicals’ and cleverly marketed under the name ‘100% Confident’! The fragrance is fresh and light and you can use this spray on any part of the body, including the feet. This product does not contain Triclosan, Aluminium Chlorohydrate, Aluminium Zirconium or Aluminium Chloride. Tested by a young woman who has to wear a nylon smock over street clothes, in a workplace that can reach 70ºF, she said it dries fast, doesn’t mark clothing and lasted for a 10-hour shift ‘smelling nice’. There’s a 1-year No Quibble Money-Back Guarantee on this product, which is reassuring! 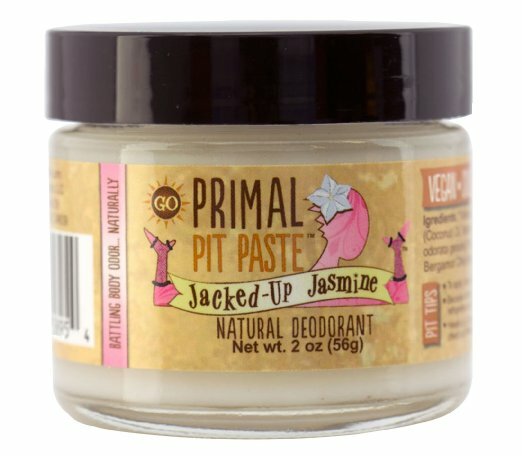 Primal Pit Paste is another of the best deodorants aimed at health-conscious women, with a strong eco-friendly viewpoint. It uses baking soda which is a natural and efficient odor-remover, arrowroot to soak up perspiration and help you feel dry. These two powders are blended with anti-microbial coconut-oil and shea-butter. The ingredients are impressive and this is one of the best deodorants for women who like a skin-moisturizing, non-toxic product. The fragrance is subtle like spring flowers with ‘top notes of jasmine and gardenia’ and smells wonderful! This is a great product that everyone loved using and reported that it’s an excellent deodorant for women. 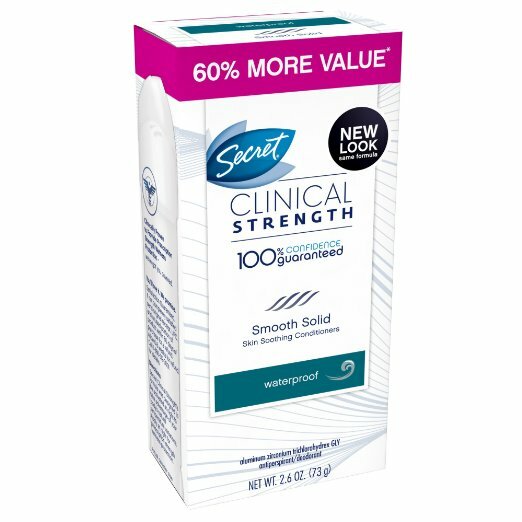 This is marketed almost as a medical product with the words, ‘Clinical Strength’ used in the name, along with the mysterious hint of it being a ‘Secret’ formula. It offers 4-times more wetness preventing action than other anti-perspirants/deodorants and has ‘odor-fighting capsules’ that absorb odor throughout the day/evening. 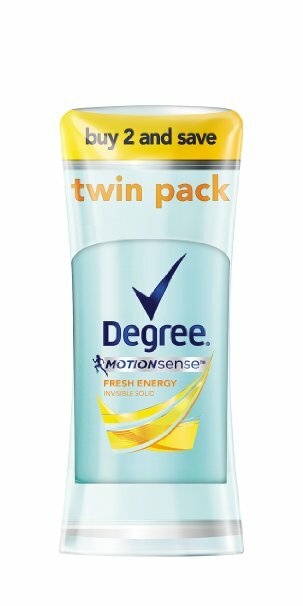 This is one of the best deodorants for smelly armpits! We gave this to male and female testers in order to discover whether it is better than the other ‘best deodorants’ on our list. It worked for a hot and sweaty, male outdoor worker and for a female, all-day dance and exercise instructor, who have now switched to using it full-time! 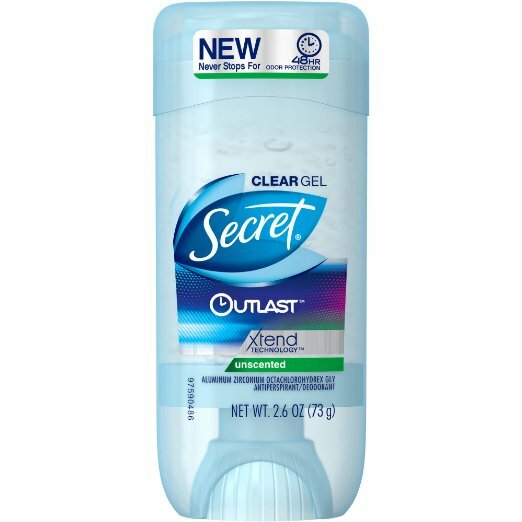 This is a great deodorants for sensitive skin. Claiming a very long odor-free period of 48 hours, this unscented deodorant contains the unique ingredient, betacyclodextrin. This is the ‘secret’ ingredient which captures and removes odor for up to two days. Testers loved this gel, which looks clear on the skin and doesn’t leave any residue or mark clothing. Also this is a great deodorants for kids! It works on men and women leaving armpits dry and odor-free and you don’t smell of fruit or flowers – or anything else, if you use the ‘Unscented’ option. 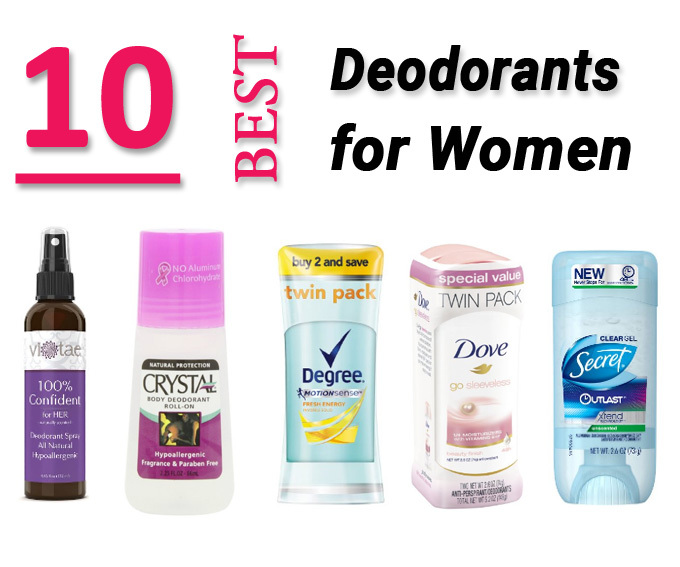 So ‘Outlast’ has left us suitably impressed by its long-lasting action and taken the winning spot for our Top 10 Best Deodorants for Women You’ll Love! best deodorant for womens body odor 2018,best deodorant for women,best deodorants for women,what is the best deodorant for women,best antiperspirant deodorant for women,best womens deodorant,good deodorants for women,best women deodorant,best deo for women,the best womens deodorant,best antiperspirant womens,whats a good deodorant for women,what is the best womens deodorant,good female deodorant,What is the best womens deodorant for odor?